It has been over a week or so since various rumors regarding the state of the WWE women’s division have began to circulate. From the whispers of debuting women’s tag titles, to various teasers of competitors of the 2018 Mae Young Classic, to the more recent tweets from WWE’s twitter machine that Stephanie McMahon will be making a huge announcement, finally, today is that day. Earlier on Monday Night RAW, WWE Chairman Vince McMahon came out to open the show and personally introduced Stephanie and her husband, Triple H, as the whole locker room (SmackDown's female Superstars included) stood on stage. Triple H prepped the women by asking them to step forward and endorsing the Women’s Evolution before letting Steph drop the bombshell. She then announced that on October 28, 2018, over 50 women will be participating in the first ever all-women’s pay-per-view to be held in Long Island, NY, rightfully named Evolution. The show’s roster would comprise of the women of RAW, SmackDown, NXT and NXT UK and their respective women’s titles will be on the line as well, along with the finals of the 2018 Mae Young Classic. 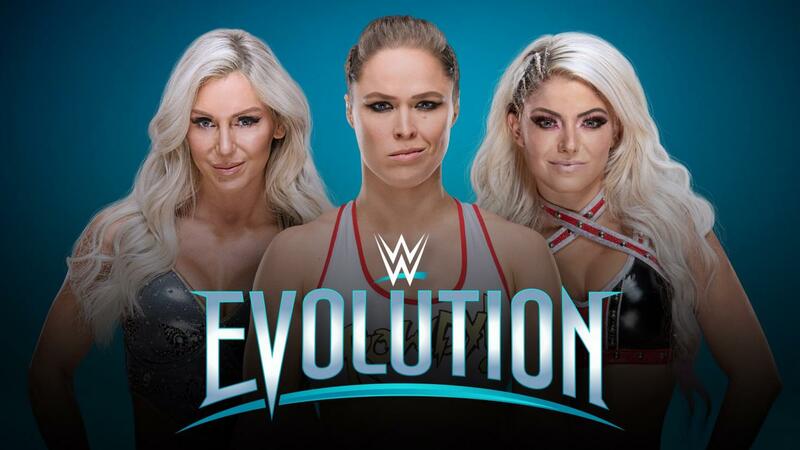 While not nearly new in the wrestling industry, this is a huge step forward for the women’s revolution as WWE has a global market and mainstream appeal that will surely garner massive media attention. This also expands WWE’s brand by adding the possibility of delving into other niche markets. In a separate announcement made via the WWE website, WWE Hall of Famers Lita and Trish Stratus will also be part of the show in some capacity. This opens up the internet wrestling community for more surprises and questions. Who will they bring to the show? Will they bring back more of the Legends roster? Who else will they sign? Will the establishment of the WWE Women’s Tag Team championships be imminent? Stay tuned for more updates regarding this breaking news.